My journey with Shogi started several years ago. I live in Czech Republic - a small country in the middle of Europe. As our country, our conventions tends to be on the smaller scale and most of the time, you can visit all the panels you want and even have some downtime between them. It happened on one anime / japanese culture convention like that. I was wandering in the hall, when I stumble upon a room filled with chess boards. I wanted to brush off the dust on my skills, so I entered the room. Closer inspection revealed, that I have no idea what these chess are. Luckily in rooms like this one, there is usually at least one person, who’s designated to explain rules and teach you how to play. This one game was enough to hook me up. I knew what I’ll want to play, if I’ll have to ever choice between Shogi and western chess. For some time I was so absorbed in the game - reading articles, watching Youtube videos of professional players from Japan, playing online and with friends. This enthusiasm didn’t last long though. Moving to different country, leaving all friends I was playing with behind didn’t help either. As a result I forgot about Shogi for few years. Then about two years ago - when I started as an author here on AniTAY - my passion was revived. While preparing for the upcoming season of Fall 2016 I found studio Shaft’s new series 3-gatsu no Lion (March Comes in Like a Lion). First few episodes sealed the deal and as a phoenix from the ashes, I started playing again. Since then I’ve moved back home from Ireland, bought my very own Shogi board on which I suffered several terrible defeats and had some overwhelming victories. Despite my history with Shogi is quite long one, I’ve never considered myself as a good player. There is simply too much to learn and I’ve not studied or played enough. From this perspective I’m still a beginner, but this should not be an obstacle for explaining basic rules in the following parts. The origins of Shogi still remains mystery. The oldest mention of it is the Kirinshô - a text dated 1027, which only explains the proper way to inscribe Shogi pieces. In 1993 during a dig at the Kôfuku-ji in Nara Prefecture the eldest Shogi pieces were found. These 16 pieces were made from Hinoki wood (Japanese cypress) between years 1058 and 1059. They already had the same elongated pentagonal wedges shape as modern Shogi. Then we had to wait almost two hundred years for the first text which described Shogi games - Nichûreki, 1230. It describes two variants of the game. The first is a small variant known as Heian-Sho-Shogi, played over a 8x8 and/or a 8x9 board (both might have existed). It used six different kinds of pieces (Jewelled General (King), Gold General, Silver General, Katsura Horse (Knight), Incense Chariot (Lance) and Soldier (Pawn)). Except for King and Gold General all other pieces promotes to Gold General on reaching 3rd rank. The second variant was known as the Heian-Dai-Shogi with 13 different pieces (all of the above plus Copper General, Iron General, Side Mover, Wild Tiger, Flying Dragon (precursor of the Bishop), Free Chariot (half a Rook - moving only vertically), and Go-Between) was played over a large 13x13 board. This large variant didn’t survive too long, as it was probably replaced by another around the year 1300. Buddhist monk describe two variants of Shogi in Futsû shôdôshû text - Sho Shogi (‘Little Shogi’) and Dai-Shogi (‘Large Shogi’). The large one was played on 15x15 board with 130 pieces, where the smaller one was played over a regular 9x9 board with 21 pieces for each player. It had all six pieces as in Heian-Sho-Shogi with introduction of both Hisha (Rook) and Kakugyo (Bishop), plus a Suizo - a Drunk Elephant. This was very important piece as on arriving on 3rd rank it could be promoted to Taishi (Crown Prince), which gave the player effectively a second King as the Taishi also had to be captured or bared before the opponent could win the game. Sho Shogi was then stabilized for a long time. It was one of the variants played by people, as Dai-Shogi and, also, Chû-Shogi (‘Middle Shogi’), on a 12x12 board, were equally popular. In the 15th centuries, even larger variants were recorded on 17x17, 19x19 and even 25x25 boards. 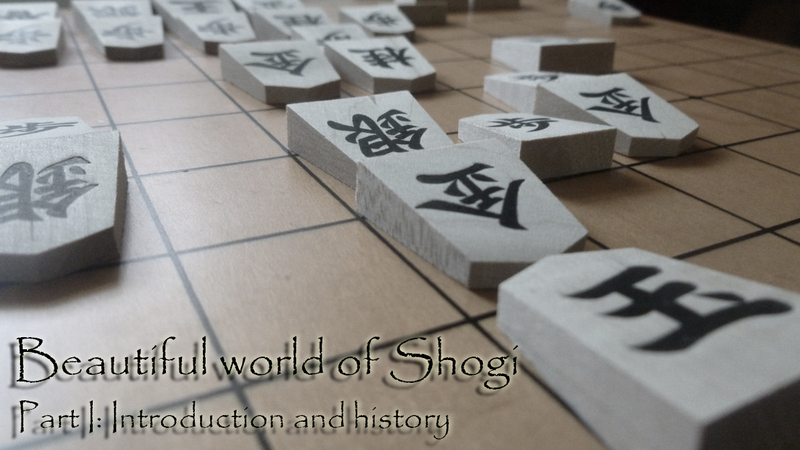 The revolution to Sho Shogi came in the 16th century, when drop concept has been introduced. Tradition says that Emperor Go-Nara (reigning 1526-1557) reformed Sho Shogi by permitting drops, in exchange it’s supposed that the Drunk Elephant was definitively withdrawn and modern Shogi was born. In 1612, the Shogun Tokugawa Ieyasu asked Honinbo Sansa, the best player of Go and Shogi of his time, to found the first professional academy for these two games. 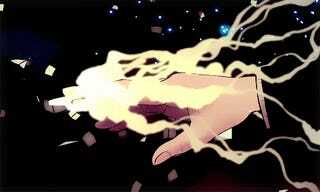 Honinbo did it along with Ohashi Sokei (1555-1634) who became the first Meijin (Grand Master). In 1636, Ohashi’s son, Ohashi Soko published the Shogi Zushiki (Illustrated Explanations of Shogi), a treatise with the essential standardised rules of modern Shogi as they exist to the present day.